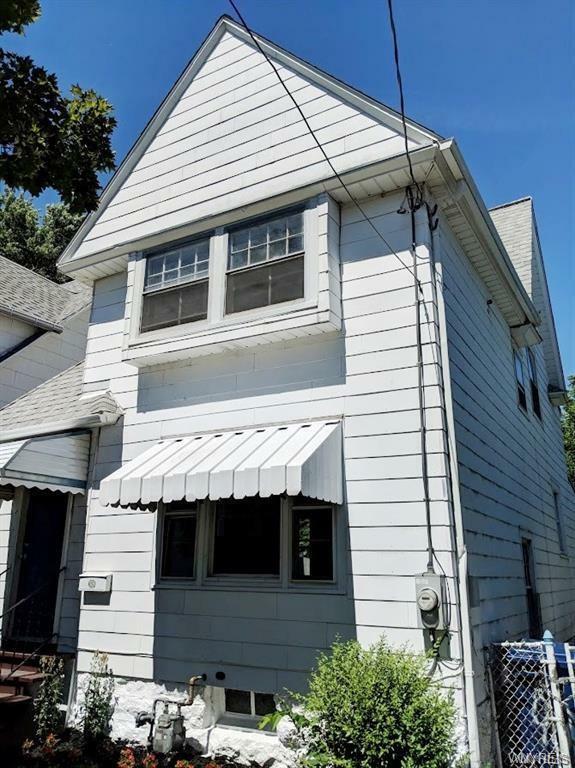 Beautifully updated three bedroom home located in the desirable Riverside District within walking distance to the Riverside Transit Hub, neighborhood shops and restaurants and easy access to the 190, 198, and 290. Ready to move in and tastefully painted throughout, this house offers new maintenance free vinyl flooring on the lower level, beautifully resurfaced hardwood upstairs, a spacious kitchen with lots of storage, a formal dining room, a family room, a separate laundry room, and a redecorated bath. Eight foot high ceilings throughout both upper and lower level create a very spacious feel. The large fenced in back yard is perfect for entertaining or for those with a green thumb. Why pay rent, when the mortgage could cost you less? Hurry up before it's gone!